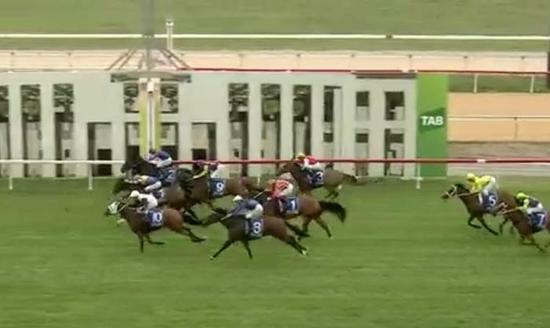 Invincible Dream lived up to the potential that she has shown when she easily won the Class 1 Handicap over 1,000 metres at Canberra today. She jumped well from her outside barrier and Patrick Scorse quickly had her in front on the rails. She seemed to appreciated the change from blinkers to winkers and travelled very nicely to the turn. Patrick cuddled her around the bend and let her balance up before he let her slip and she quickly put two lengths on the field. She went on to impressively beat a small, but good, field by a bit over a length and a half. Her many owners excitedly greeted Patrick and their talented filly when she returned to the enclosure - there is not a feeling like it! Invincible Dream shows a great deal of potential and Luke is confident that more wins are in store.